Call Of Duty: Infinite Warfare, Why The Hate? Activision’s now world-famous First Person Shooter franchise ‘Call Of Duty’, (when going by sales figures,) is the highest selling continually-releasing game franchise of all time; with well over 500 million copies sold within the Franchise’s individual releases. With the franchise’s most recent entrance having its first glimpse at E3 this year; the backlash was catastrophic. As of July of this year, the Infinite Warfare reveal trailer is the highest disliked gaming-related video on all of YouTube; with over 3.5 million dislikes in total. What’s the reason for such a sudden change of heart? This is partly due to Call Of Duty’s somewhat strange development scheme. Activision has 3 different development teams working on Call Of Duty; Treyarch (Black Ops Series), Sledgehammer (Advanced Warfare) and Infinity Ward, the developers of Infinite Warfare. This 3 year cycle means that while one developer is releasing their Call Of Duty game one year, it gives the other developers two years to start development on their next installment; usually meaning that the developers are two years behind on consumer census data. After the mixed reception with Sledgehammer’s Advanced Warfare, the community was apprehensive to see another Call Of Duty game set in a future setting; with players desiring a more ‘boots on the ground’, modern style of gameplay. Infinite Warfare started its development back in 2014, and has now come too far in its development stage to revert their now apparent and unfortunately glaring mistake. This brings a particular question to the table; why not listen to the fans? A game like Call Of Duty falls into a niche bracket of success, where the game becomes a household name and has its own players who exclusively play that game, and nothing else. Due to this, Activision likely sees its actions with the franchise as almost permanently well-received by fans; regardless of what the community wants. No matter how badly-received a Call Of Duty game may be, the sales figures always seem to contradict the general consensus. ‘Call Of Duty: Ghosts’ for example, was one of the lowest scoring Call Of Duty titles in the history of the franchise; yet still easily made its way into the top 5 best selling games of 2013. It could be argued that Activision almost views its chart-topping franchise as immortal to slander. So why not listen to the fans? Developers under a production company such as Activision are often dictated to in terms of what they can, or cannot do. 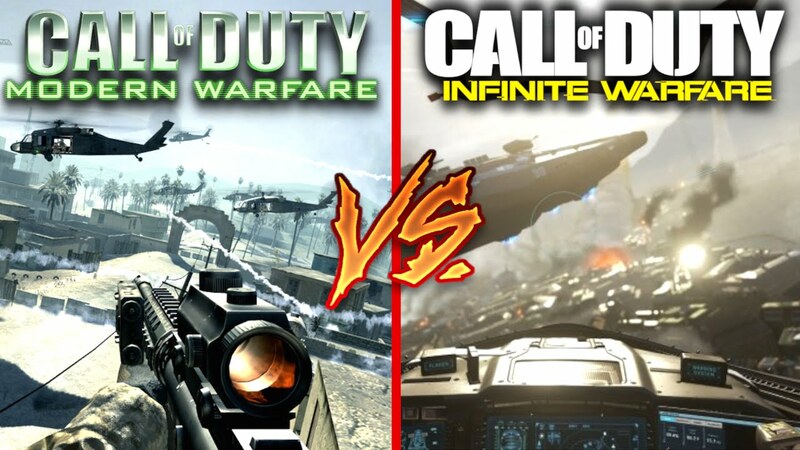 In the case of Infinite Warfare, Activision had likely deemed the choice to make Infinite Warfare set even further into the future as the most successful; therefore leaving Infinity Ward to work within their guidelines; regardless of fan reception or not. This, coupled with a developers community feedback being two whole years behind, means that Infinite Warfare was never going to be the Call Of Duty game the fans wanted. A developer’s ultimate goal is to make a game that players enjoy, and with Infinite Warfare set for a November 4th, 2016 release date, only time will tell to determine whether or not Infinite Warfare is actually good, despite fan’s pre-conceptions. Long time gamer, Halo fanboy, passion for writing, games and music.